Warner Archives Issues DVD Set! The early 1960s were a time with a TV landscape thought of as more innocent than today, but behind the scenes, changes were roiling the nation. Into this fray stepped a groundbreaking series based on true stories from the nation’s high school students and the teachers charged with tending them. 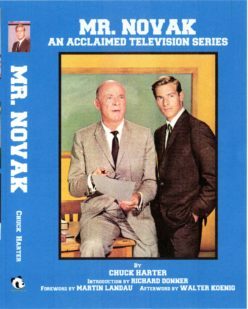 James Franciscus stars as John Novak, an idealistic, novice teacher, while storied stage and screen veteran Dean Jagger costars as his mentor, Principal Albert Vane. Constantly challenging the rules of the education establishment, the dedicated young Mr. Novak guides his bright but troubled students while dealing with teen pregnancy, drug abuse, racial conflict and alcoholism – problems as relevant and shocking then as they are today. Notable guest stars include such luminaries as Lillian Gish, Martin Landau, Edward Asner and Beau Bridges. This groundbreaking series also features students from Los Angeles’ Marshall High School. 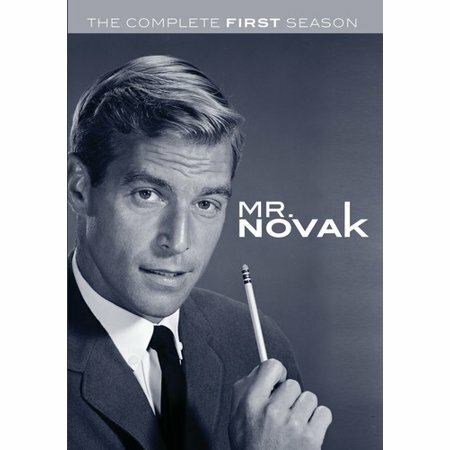 Mr. Novak: The Complete First Season (DVD) is now available, the issue price is $47.99. Posted on December 25, 2018 December 25, 2018 Categories TelevisionTags Dean Jagger, DVD set First Season, James Franciscus, Mr. Novak, Warner ArchivesLeave a comment on DVD Set of First Season Now Available!